Through his words and actions, Nelson Mandela has been embraced worldwide as our leading symbol of courage, hope and reconciliation. 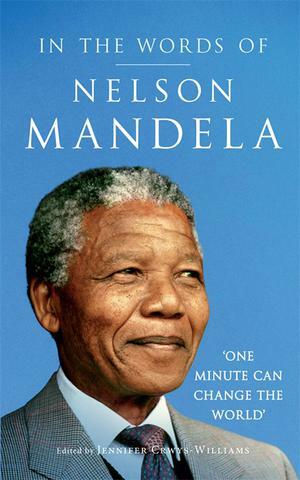 In the Words of Nelson Mandela is a unique collection of quotations from one of the most admired men on the planet. His thoughts on subjects as diverse as humanity, friendship, oppression and freedom provide valuable insights into the man and all he stands for. By turns moving, revealing, humourous and wise, this book eloquently conveys his warmth and dignity, and his words are certain to inspire and give strength to all who read them.